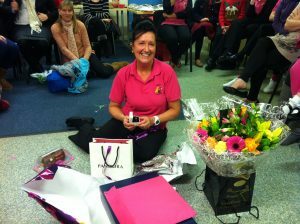 Children and staff are saying a fond farewell to Mave at our Telford Nursery. After many years of dedication to the children Mave is putting her feet up and looking forward to her retirement. Good luck Mave…..you will be missed by us all! We would like to wish everyone a Happy Christmas and Thank you for your continued support this year. 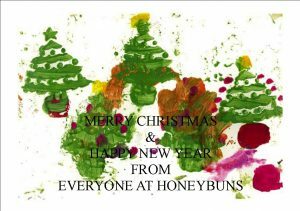 We will be closing for the holidays on Christmas Eve and look forward to seeing you all again Wednesday 2nd January 2013! Dont forget the children at Stafford will be performing their nativity play to St Josephs convent. Wednesday 12th December. We are pleased to announce the totals for Children In need and our Christmas Fayre’s. 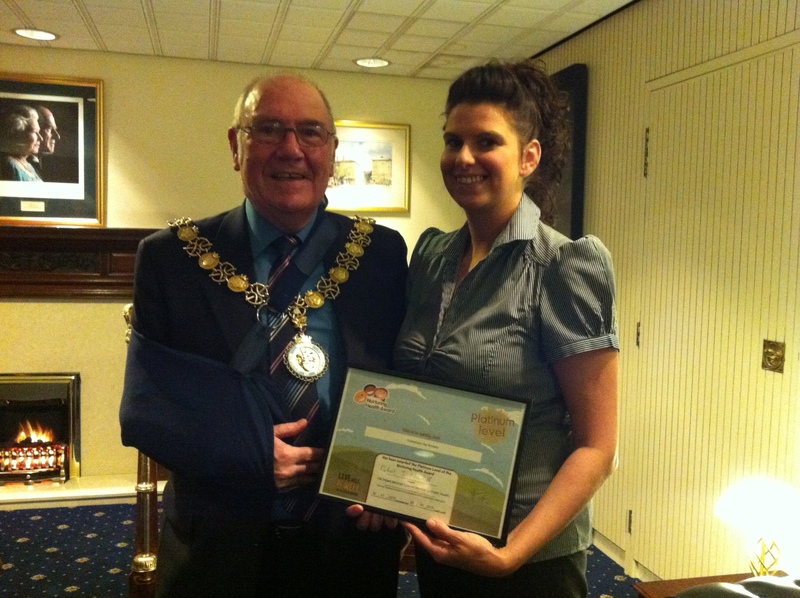 Congratulations to Steph at Stafford for achieving the Platinum Award for Nurturing health Award. Steph went along to meet the Mayor at the Mayoral Chambers last night to receive the award.